With the closure of the one and only Tesla swap station and CEO Elon Musk saying that when it was open, there was a "very low take rate" for the service, one would think that the automaker wasn't interested in this sort of thing any more. 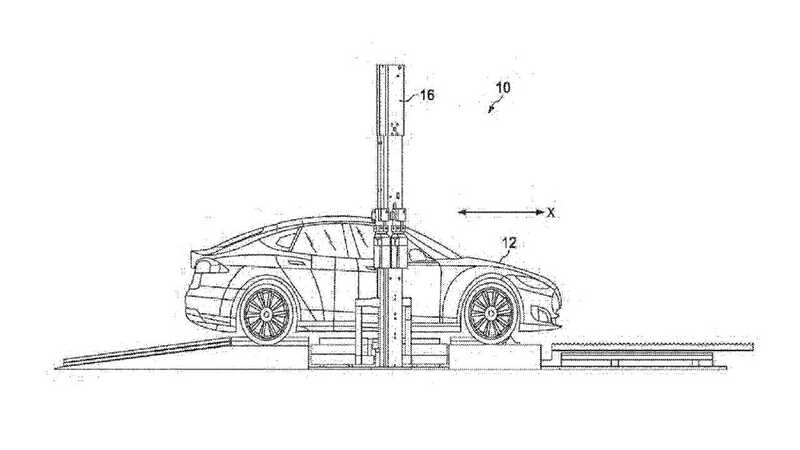 And yet, despite the lack of any working on-the-ground swapping stations today, Tesla is still filing patents for the technology. Last year, we saw a detailed look at just how the EV automaker could exchange spent packs for new ones, and today we found another one. Because the process of charging such cells usually takes some amount of time, some vehicles are designed so that the battery can be replaced with another battery, to replenish power in the vehicle or to address malfunction in the current battery. A battery-swapping system can be implemented on top of a trailer for increased mobility. Generally, the battery-swapping operations should be performed in an enclosed or at least covered location. 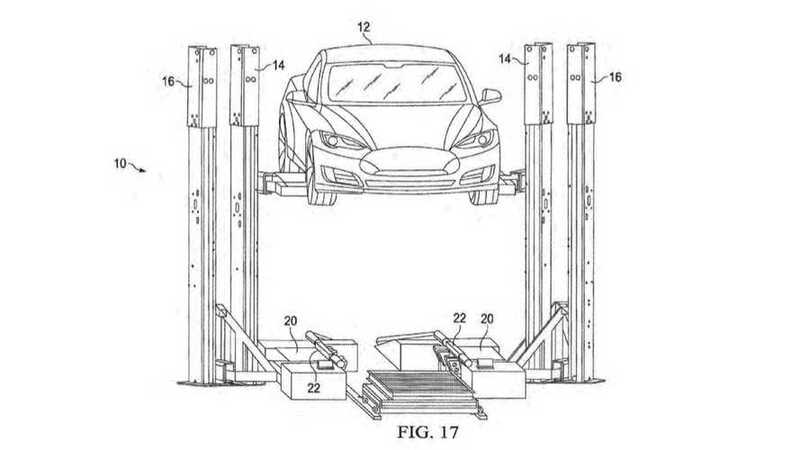 For example, a trailer can be custom built with sides that pop out for increased space, and ramps on either side so the vehicle can be driven in and out of the battery-swapping facility. Depleted batteries can be charged at the location of the swapping system (e.g., using grid power or other electric resource) or fully charged battery packs can be delivered to the location. A swap with this system could take "less than fifteen minutes." If we ever see it in the real world, of course.